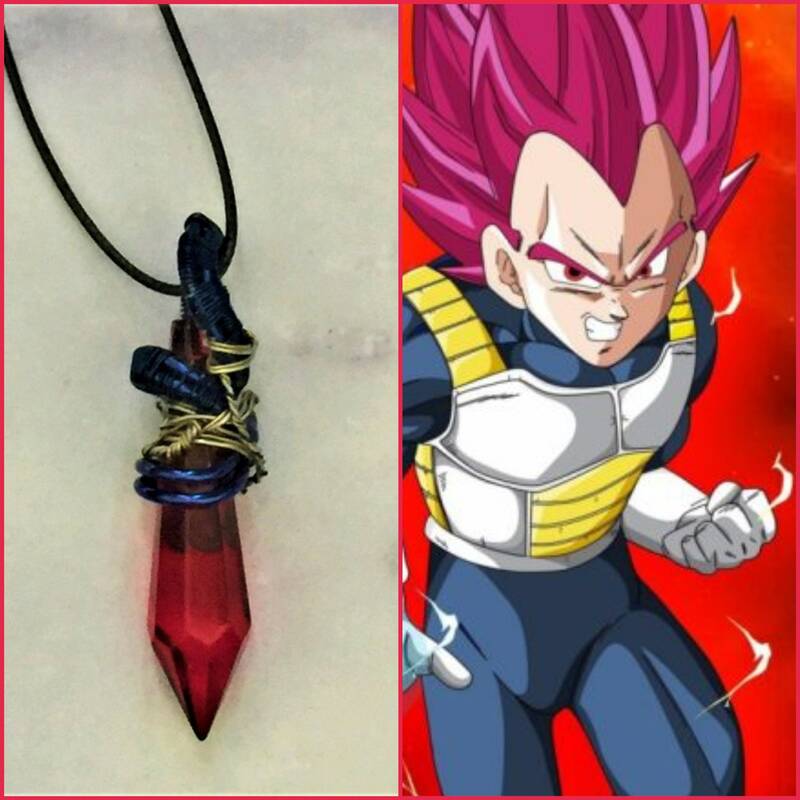 Vegeta in Super Saiyan God form! 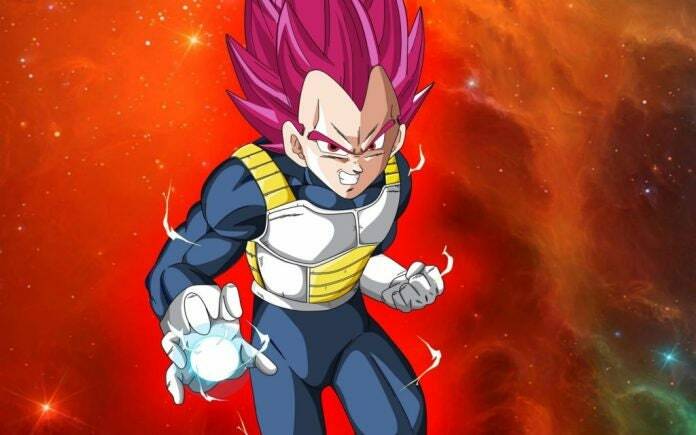 We all knew he could do it!! 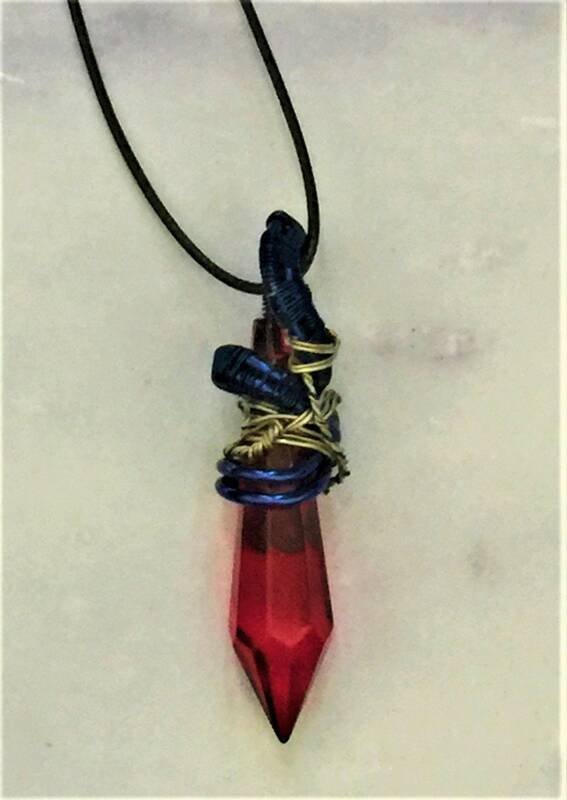 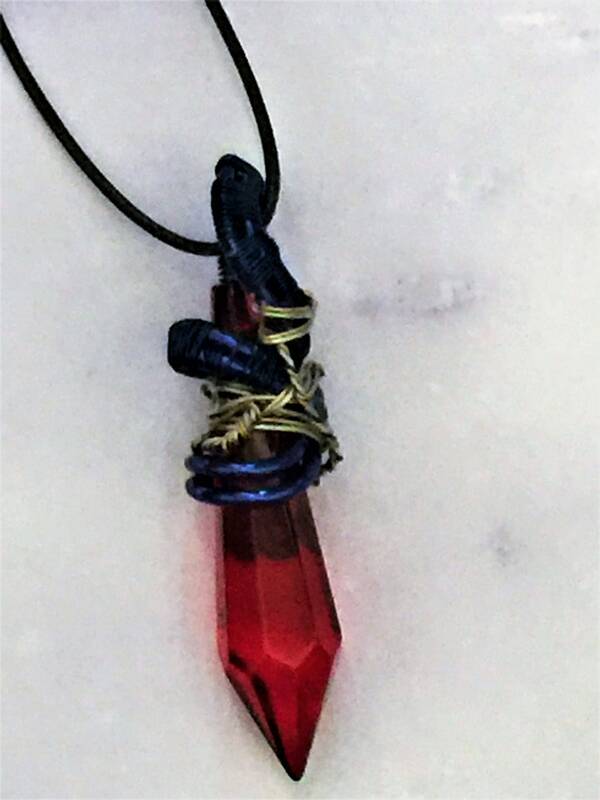 A gorgeous red crystal point is wrapped in woven royal blue, gold, and silver wires.